In Jakarta, Professor Paul Kofman, Dean, Faculty of Business and Economics, received a warm welcome in contrast to the wet weather, giving his anticipated lecture on “The Future of Australia-Indonesia trade relations”. Hosted by Business and Economics alumna and PhD candidate Kanti Pertiwi, the lecture discussed economic, cultural and political factors in trade relations, including drivers for change and current blocks to the trade agreement. Guests enjoyed the opportunity to network, catch up with fellow graduates and discover the latest University news after the lecture. In Singapore, in the breathtaking Aura Sky Lounge at the National Gallery of Singapore, alumnus Christopher Quek (BCom(Mgt) 2002), one of Singapore’s most experienced and successful entrepreneurs, shared his insights and knowledge of ASEAN’s growing tech ecosystems and granted one lucky attendee a tour of his company Tri5Ventures and one-on-one mentoring. The winner, Evan Tan (MMgt (2014), BA (2011)), said “It was a power-packed hour or two spent with Christopher, which was pretty much a masterclass on the start-up industry in Singapore and parts of Asia”. 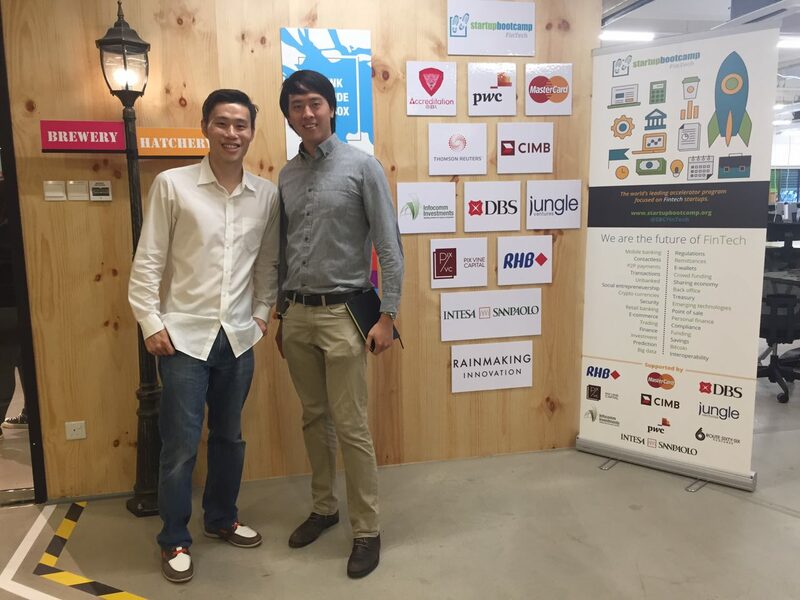 - Christopher Quek shows alumnus Evan Tan around his workplace as part of the lucky door prize. The final event in Kuala Lumpur attracted a record number of alumni at the Private Residence of His Excellency Mr Rod Smith PSM, Australian High Commissioner to Malaysia. Welcoming University of Melbourne alumni, the High Commissioner discussed the importance of alumni engagement, Australia-Malaysia trade relations and the strength of education as an export for the state of Victoria. Dato' Sri Mustapa Bin Mohamed, Minister of International Trade and Industry, one of Malaysia’s most senior government Ministers and Business and Economics alumnus also attended the event; a great honour for the guests. The Minister briefly reiterated the importance of maintaining a connection with the University and revealed how pleased he was to see many younger alumni in attendance. - His Excellency Mr Rod Smith, Australian High Commissioner to Malaysia shares a laugh with Dato’ Sri Mustapa bin Mohamed, Malaysian Minister of International Trade and Industry, Gloria Goh, President, University of Melbourne Malaysian Alumni Association and the Dean, Professor Paul Kofman. At each event, the Dean gave an update on the latest Faculty and University Wide news, highlighting volunteer opportunities for alumni, ways to give back while encouraging the audience to participate in their local alumni associations. To find out more about engaging our current students as mentors, internship providers and business practicum hosts, or to view the Dean's lecture notes please contact us.